A large number of satellites is used today to explore the earth's atmosphere, the oceans, the earth's structure and the biosphere. Satellites employ a large variety of instruments and techniques from remote sensing and inverse problems to monitor and visualize physical, chemical and biological processes taking place above, in or on the surface of our planet earth. ESA Earth Observation, see also ESA EO. Japan Aerospace Observation Agency Missions. For political activites see also: Group on Earth Observation, which is trying to build the “Global Earth Observation System of Systems” (GEOSS) from 2005 to 2015. Here, we link important satellites and satellite programs. Currently, this is a selection only. NMP/EO-3 (planned for 2005-6, mission cancelled). Studying precipitation, evaporation and cycling of water, it carries the instruments Advanced Microwave Scanning Radiometer EOS AMSR-E, Moderat REsolution Imaging Spectroradiometer MODIS, Advanced Microwave Sounding Unit AMSU-A, Atmospheric Infrared Sounder AIRS, Humidity Sounder for Brasil HSB, Clouds and Earth's Radiant Energy System CERES. The aura mission was launched July 14, 2004, dedicated to monitoring the atmospheric composition, ozone distribution and air quality. Measurement instruments include the High resoludion dynamic limb sounder HIRDLS, the microwave limb sounder MLS, the ozone measuring instrument OMI and the tropospheric emission spectrometer TES. See Aura Website at NASA, Aura mission page or Aura at Wikipedia. 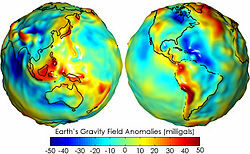 The grace mission consists of twin satellites launched in March 2002, with the goal to measure the earth's gravity field. The mission monitors for example the amount of water ressources in underground basins in large parts of the earth. See mission website at GRACE or Grace Wikipedia Site. Jason-1, since 12/2001. Jason-1 was desined to measure the global ocean circulation and to study the links between ocean and atmosphere. It is a joint project by NASA and CNES. It was a successor to the TOPEX/Poseidon mission. Its instruments include Poseidon 2 Radar Altimeter, Jason Microwave Radiometer JMR, DORIS Doppler Orbitography and Radiopositioning Integrated bz Satellite, BlackJack Global Positioning System receiver and a Laser retroreflector for positioning calibration. See Jason Site at CNRS or Jason 1 at Wikipedia. Jason 2 - Ocean Surface Topography Mission, since 06/2008. Instruments: AMR, Carmen-2, DORIS, GPSP, LPT, LRA, Poseidon-3, T2L2. See OSTM Site or Jason-2 on Wikipedia. OSTM/Jason-2 is jointly organized by NASA, NOAA, CNES, with product development by Eumetsat. Jason-CS, to be launched 2017, see Aviso Jason CS Site. GOES 12, launched Jul 23, 2001, currently in standby state in orbit. POES stands for “polar orbiting environmental satellites”. The programme is a joint effort of NOAA and EUMETSAT, in cooperation with NASA and ESA. It includes NOAA-Series and MetOp satellites (see below). NOAA-15, TIROS series, weather satellite, launched May 13, 1998, AMSU-A/B, AVHRR, HIRS/3, SEM/2. S-band transmitter problems. NOAA-18, POES series, weather satellite, launched May 20, 2005, AMSU-A, MHS, AVHRR, HIRS, SBUV/2. NOAA-19, POES series, NOAA-N Prime, weather satellite, launched Feb 6, 2009, AVHRR/3, HIRS/4, AMSU-A, SBUV/2, MHS. Landsat 1, launched July 23, 1972, ended Jan 6, 1978. Landsat 5, launched Mar 1, 1984, ended in 2012. Landsat 6, launched Oct 5, 1993, failed. Landsat 8 (Data Continuity Mission), launched Feb 11, 2013. See Landsat timeline, Landsat history, Landsat Wikipedia Site. Launch March 1, 2002. End of Mission May 9, 2012. ESA's Envisat Homepage, Envisat (Wikipedia). ERS-1, launch 1991, mission ended March 10, 2000. ERS-2, launch 1995, mission ended Sept 5, 2011. See ESA's Future Mission Site. Sentinel is an ESA and GMES programme to lauch a series of satellites for earth observation with applications in land, ocean and atmospheric monitoring. Sentinel-1, polar-orbiting, all-wather, day-and-night radar imaging, for land and ocean services, to be launched in 2014. Sentinel-2, polar-orbiting, multispectral high-resolution imaging, for vegetation, soil and water cover, to be launched in 2014. Sentinel-3, polar-orbiting, sea surface topography, SST, to be launched in 2014. Sentinel-4, geostationary, on Meteosat Third Generation MTG-S in, payload, atmospheric monitoring, to be launched in 2019. Sentinel-5 Precursor, atmospheric monitoring, to be launched in 2015. Sentinel-5, payload on MetOP 2nd Generation, atmospheric monitoring, to be launched in 2020. See ESA Sentinel Page, see also Sentinel (Wikipedia). A series of four geostationary meteorological satellites. MSG-1 (= Meteosat-8), launched Jan 29, 2004. MSG-2 (= Meteosat-9), launched Dec 21, 2005. MSG-3 (= Meteosat-10), launched July 5, 2012. See ESA's MSG Site or Meteosat Page on Wikipedia. A series of geostationary meteorological satellites. See Eumetsat MTG Site or Meteosat Page on Wikipedia. A series of three weather and climate observation satellites. Metop-A, launched Oct 19, 2006. Metop-B, launched Sept 17, 2012. Metop-C, to be launched in 2017. 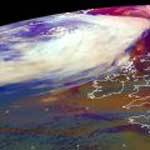 See ESA's MetOp Site or MetOp on Wikipedia. Proba-1, launched Oct 22, 2001. Proba-2, launched Nov 2, 2009. Proba-3, to be launched in 2015/2016. Proba-V (V=Vegetation), to be launched in 04/2013. see JAXA List at Wikipedia. NASA's effort to investigate and develop new technologies for space applications. It was cancelled by the US Congress in 2009. Its “deep space” missions were renamed “space technology” in 2000. The following Missions need to be sorted appropriately.